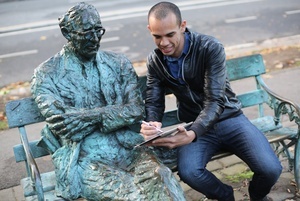 I’m a graphic designer based in Kells, County Meath. 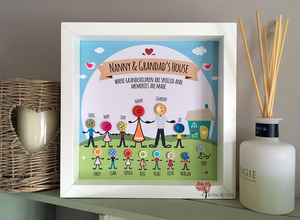 I create cute and quirky personalised frames and prints for any occasion, at any time of year. 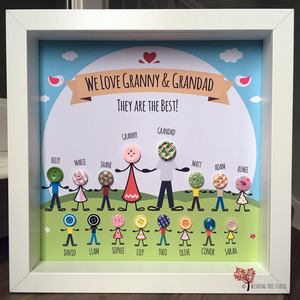 The frames from our ‘Button Head’ collection make gorgeous gifts for grandparents and families and it’s our most popular collection at Christmas time. 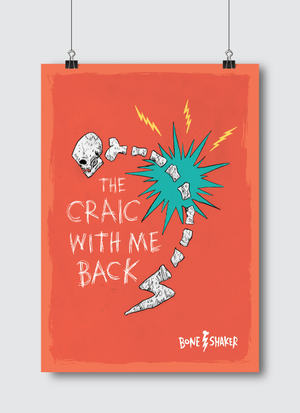 Irish-made stocking fillers to Broadsheet@broadsheet marked ‘Irish0Made Stocking Fillers’. No fee! Posted in Misc and tagged Irish-Made Stocking Fillers at 12:07 pm on November 24, 2016 by Broadsheet. why have they got buttons for heads? It’s a bit pricey for a few buttons stuck to a printout…thanks for the idea though!! Do you know what Andy…I accept! Is it though? I mean if I asked you to make me one, including paying for the raw materials yourself (wood, ink, nails, buttons, initial outlay of printer and computer to design it on) then factoring in your time for doing it, minus the VAT and income tax you’d be paying, would you make me one for €28? Yes it is. 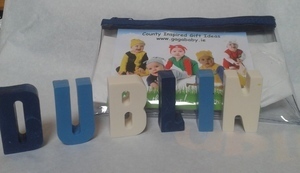 This is why this company will make you one for €28…+p&p btw. 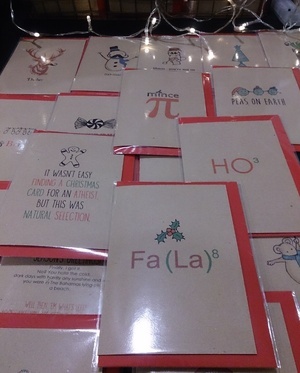 “they make gorgeous gifts etc., etc., ” Do they, do they really? An awful lot of negativity on this site. Would it kill you to say something nice about a small Irish company? Failing that, even suspend your sarcasm for once? Some people create. Some people detract. Coincidentally the detractors are usually talentless. Seconded, I think they’re really good.